Ask any scientist and, chances are she’ll tell you she is where she is today because another scientist empowered her to follow her childhood dreams. Samsung’s emPOWER Tomorrow program is exactly about that: getting young girls excited about STEM. Samsung launched the after-school program called emPOWER Tomorrow for 4th and 5th grade girls that teaches the basic principles of electrical engineering and computer programming in a fun, project-based way. 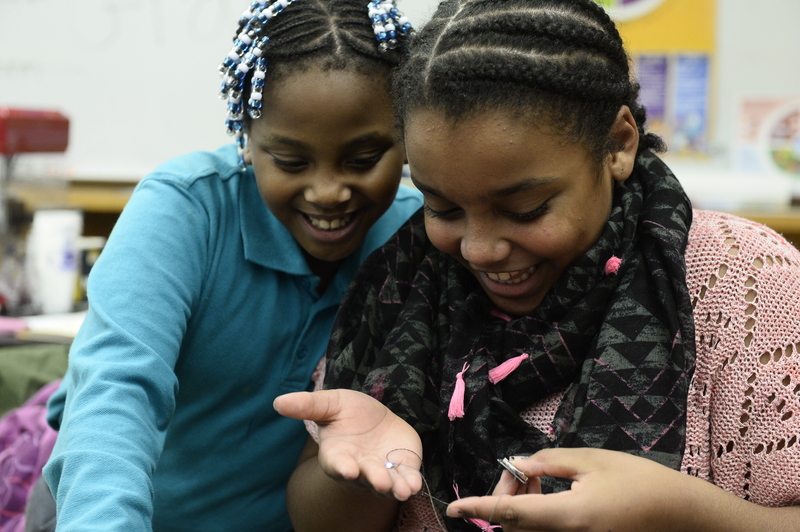 The five-week pilot program took place at Miller Street School and Peshine Avenue Elementary School in Newark, New Jersey, where guest speakers – women working in the field of computer science – helped the girls see that interesting careers in engineering and programming aren’t just for boys. The curriculum also included experimenting with coding and electric circuits in concrete ways they could see and touch. 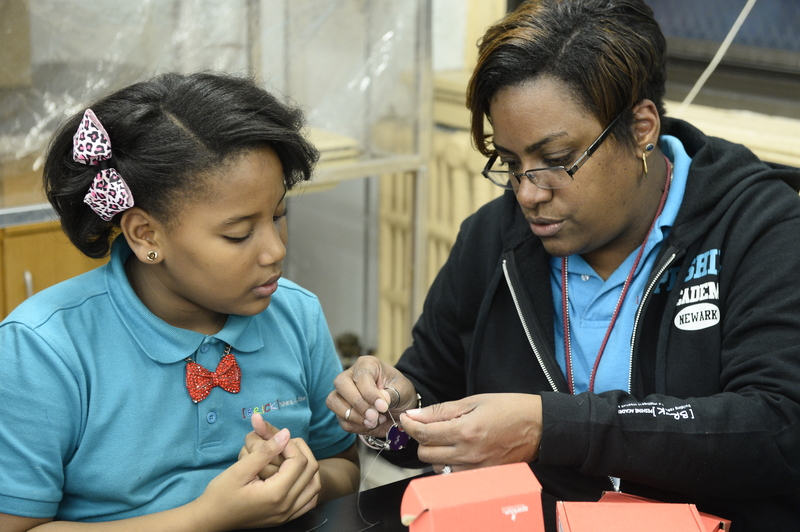 Studies show educators most influence girls at an impressionable age – usually in the fourth and fifth grades – to get them interested in pursuing STEM studies. At the two elementary schools in Newark, N.J., Samsung emPOWER Tomorrow is designed to do just that and supports that finding. Making learning fun is the goal, so Samsung’s women scientists volunteer to work directly with the young girls. Samsung takes it another step by donating technology products, so students can interact with the latest technology, the future and their place in both. And it’s working. Female engineers from Samsung visited the schools to talk about their personal motivations to enter their respective STEM fields. They shared stories with the girls about overcoming obstacles in their careers as well as the stimulating projects they’ve had the opportunity to work on throughout their careers that keep them excited about their jobs–all in the hopes of inspiring these girls to consider the same path. Through the mentorship of true scientists, girls interact with women who have successfully pursued STEM fields. This coupled with the practical application of the skills helps the girls see that these subjects are much more than solving complex equations or working through a lab exercise. They are attainable career paths that lead to exciting careers in fields like mobile app and software development that power all the latest and greatest technology we can’t seem to get enough of today. Samsung is one of the largest technology companies in the world and in order to keep growing, we need qualified and diversified candidates to fill these jobs. Reaching girls early on and exposing them to real-world, hands on STEM experiences helps make the subject matter relatable. By engaging girls this way, teachers and mentors are reaching them before the age old stigma – science, technology, engineering and math are subjects for boys – stands a chance of setting in. The day is upon us when the gender gap in STEM fields is closing, and it can’t be soon enough. Programs like emPOWER Tomorrow help students gain practical knowledge but most importantly they gain confidence. They are empowered by their own abilities and a feeling that they can do this if they want to. They see that STEM isn’t too hard and there is room for them in STEM – even as girls and women. emPOWER Tomorrow is just one of the many Samsung initiatives focused on engaging students in STEM subjects. You can learn more about this and other STEM initiatives at www.Samsung.com/hope.